A1 Dream Playhouse: The A1 Dream Playhouse is a deluxe playhouse where your children and their friends will enjoy for many years of creative play. This playhouse features a miniature garage section with double doors so they can store their scooters, bikes and small cars, a great bonus for parents if they want a tidy garden! 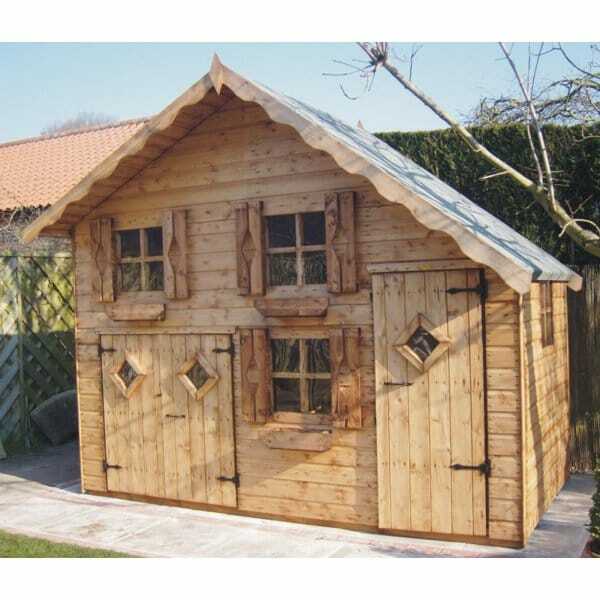 With this playhouse there is also a secondary play platform which features rails for safety and a secure, well made ladder. The other key safety features of this play house are the finger saving safety strips around the doors and windows and the safety perspex doors and windows. Each window is fitted with a window flower box as standard.